Successfully Added 9.2 inch Waterproof Widescreen LCD Monitor - PAL to your Shopping Cart. 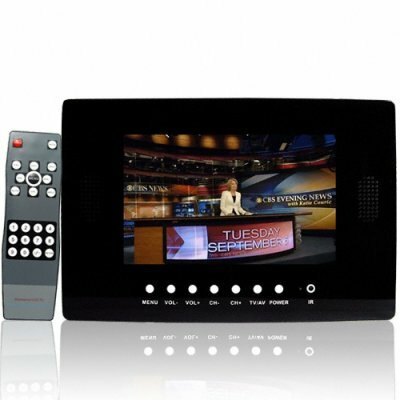 Never miss the big game, the news or your favorite soap ever again with this 9.2 inch wide waterproof LCD screen. Featuring VGA resolution (640x480) and a waterproof remote with caddy this TV will certainly pimp out your bathroom. Alternatively this unit could easily be used in a factory or workshop environment without the worry of dust and moisture. Certainly a money spinner, start selling these now to millions of eBay customers and take advantage of Chinavasion's drop-shipping service or simply order one for yourself and enjoy movies and TV in your bathroom..